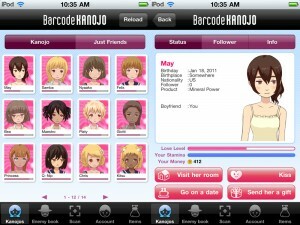 Barcode Kanojo is an interesting iPhone game I’ve been wanting to try out for a while. Only recently was it released to the iPod touch so now I’m able to give it a whirl! How it works is that you scan in barcodes from items you’ve bought and if no one has ever scanned that barcode before you can generate a Kanojo (Girlfriend), but if someone has already scanned in that barcode you can follow their generated Kanojo and try to steal her away! 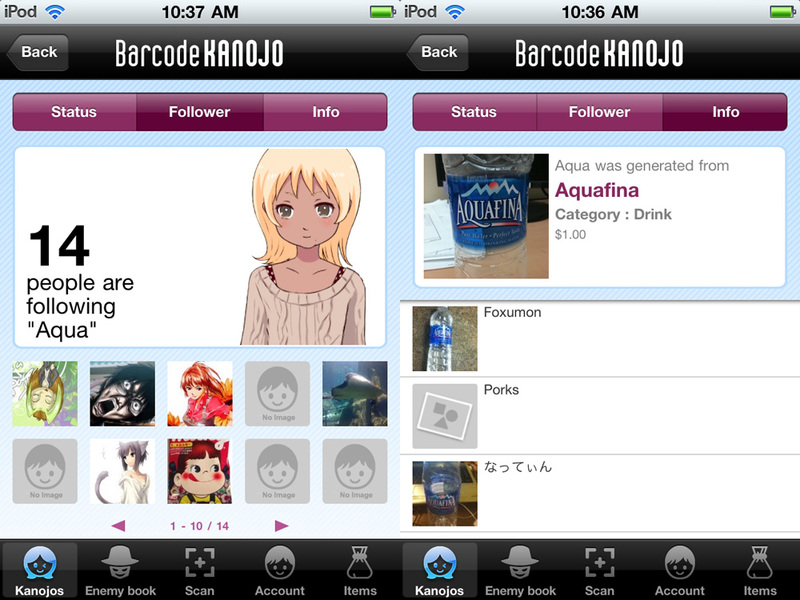 Also, when you scan in the barcode you can take a photo of the item itself. Then you can see your item as well as other peoples photos of the same thing. 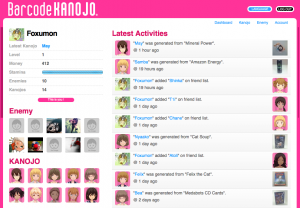 In order to steal other’s Kanojos you can visit them and flirt with them to make their love for their boyfriend drop and when it’s all gone their yours Every 4 hours your energy is recharged and you can use it to create new Kanojo’s, spend time with you Kanojos(so they won’t get stolen! 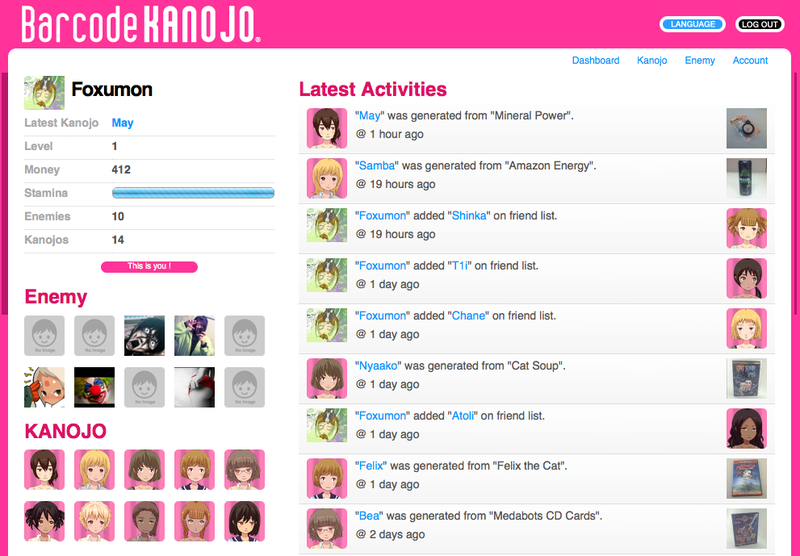 ), and spend time with other’s Kanojos to try and steal them away. I seems you’ll eventually level up, and there’s a “collections” portion of the game, but I haven’t gotten that far yet. I can see myself getting bored of this pretty quickly…but for now it’s a fun distraction, and I really like how they’ve working in the multi-player portions of the game. If your bored and feeling charitable then I have the game for you It’s called “Free rice” and by playing simple math and english games you can donate rice to feed starving people in less fortunate areas of the world. For every question you answer right you they will donate 10 grains of rice.